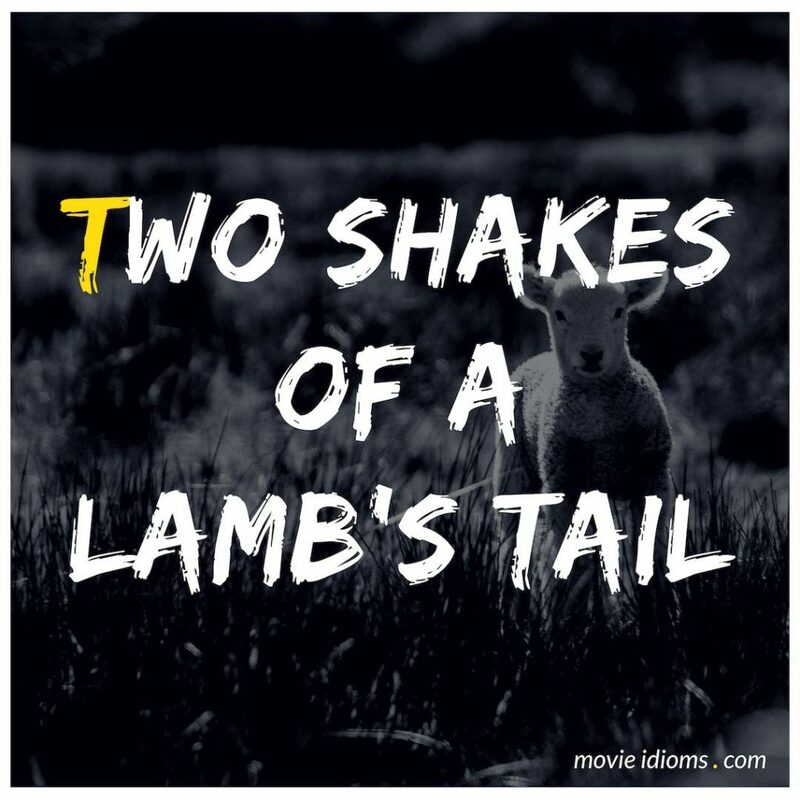 What does two shakes of a lamb’s tail mean? Mia Wallace: Hi Vincent. I’m getting dressed. The door’s open. Come inside and make yourself a drink. Mia Wallace: Vincent. Vincent… I’m on the intercom. Vincent Vega: Where is it? Where is the intercom? Mia Wallace: It’s on the wall by the two African fellows. To your right. Warm… warmer. Disco. Mia Wallace: Push the button if you want to talk. Mia Wallace: Go make yourself a drink and I’ll be down in two shakes of a lamb’s tail. The bar is by the fireplace.